The Indian microfinance sector has seen a series of rapid changes in the past decade. The sector grew rapidly in the period 2004-2009, with an average increase in number of clients year-on-year being 91%, while size of portfolio outstanding grew by almost 100% Y-o-Y. During the same period, one also saw a number of Non-Banking Finance Companies (NBFCs) being established with a corresponding spike in interest from private equity investors. For instance, between 2007 and 2009 alone, the number of systemically important NBFCs, i.e., those with a balance sheet size greater than INR 100 crores (USD 20 mn), grew from 7 to 25. Much of this growth can be attributed to increase in the number and quantum of equity investments during the same period. In FY 2009-10 alone, a total of 17 deals were closed, valued at INR 8.67 billion (USD 173.4 million). The other impact of the inflow of commercial capital to the sector was the expansion of MFIs beyond the southern states. For instance, in 2005, 48% of all clients were concentrated in the state of Andhra Pradesh. At the end of FY 2009-10, MFIs were present in 436 of the 621 districts in India, including 70% of the poorest districts. 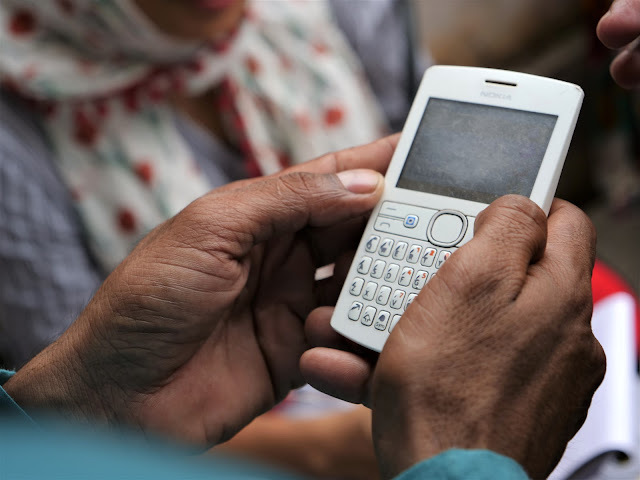 Access to capital led MFIs, both existing players and new entrants to begin operations in the North and North-east, in some of the poorest districts of India. MFIs also began expanding to states like Orissa, Bihar and Uttar Pradesh. Utkarsh Microfinance operating in eastern Uttar Pradesh and parts of Bihar is one such example of this expansion. In the months succeeding the AP ordinance in October 2010, there has been a steady decline in the number of equity investments made in the sector. The equity deals at the close of FY 2010-11 were valued at about 41% of the previous year i.e. about INR 3.55 billion (USD 71 million). In December 2011, the Reserve Bank of India (RBI) issued a circular that recognised the existence of entities called “NBFC-MFIs”, leading to an increase in investor confidence in the sector. This was manifested through the resumed equity investments to the sector. In the FY 2011-12, eight MFIs received equity investments. While equity investments in 2010-2011 were lower than the previous year, it should be pointed out that the sector has also seen investments from reputed foreign investors such as IFC, DWM and Citi Ventures Capital. The recent Ujjivan deal is significant because it saw the participation of Wolfensohn Capital Partners, promoted by former World Bank president James D. Wolfensohn, and a first time investor in the sector. The transactions in the post AP ordinance period indicated that equity investors still believe that select high quality institutions can do well. However, due to significantly lower valuation multiples, cost of equity is much higher for MFI promoters. Debt funding has also seen a simultaneous drop. The top 25 MFIs reported a growth rate of 43% for borrowers and 76% for portfolio in 2009-10. In comparison, the figures for 2010-11 are 7.5% for borrowers and 7.2% for portfolio growth. The estimated total size for micro-credit in India is about INR 3.3 trillion (USD 66 billion) and 650 million borrowers (~53% of the population that does not access formal financial institutions of any kind). MFIs currently meet about 6% of this demand. At the beginning of FY 2012-13, we are still at under 50 million borrowers and INR 200 billion (~ USD 4 billion) of portfolio outstanding. On comparing the pre AP ordinance period with the post AP ordinance period, it is observed that the share of MFIs that had portfolio outstanding greater than INR 10 billion has dropped to 58% from 67% (see chart 1 above). Even of this 58%, about one third is estimated in corporate debt restructuring (CDR) proceedings. The direct implication of this observation is that a much higher share of the future growth is likely to be met by the Tier 2 and Tier 3 MFIs (defined respectively as MFIs with a portfolio size of INR 5-10 billion and INR 1-5 billion), who have continued to display high quality origination in the past year. With recent regulatory changes imposing a margin cap on MFIs, promoters are re-examining their business models with the objective of increasing customer reach, reducing operating costs and increasing branch / staff efficiency. With the advent of credit bureaus, MFIs have the benefit of external risk infrastructure but need to work harder at finding new customers. Under conservative growth scenarios, our estimates indicate a cumulative equity requirement of over INR 5 billion (~USD 100 million) over the next 2 years for the universe of Tier 2 and Tier 3 MFIs. A quick analysis indicates that this entire requirement can be met through Tier 2 capital instruments. This indicates an opportunity to re-look at the capital structure of MFIs. In order to attain their complete potential and transform their businesses to retain competitiveness, MFIs today require access to ‘patient’ capital, i.e. capital infusion from a source that does not impinge upon the organisation’s ability to take necessary business decisions and retain focus on the long term. Hybrid capital would address all the issues of being ‘patient’, providing the necessary capital benefits while at the same time allowing the MFI promoter to retain control on the business. With banks resuming lending to the sector, albeit cautiously, a well-capitalised entity is likely to attract bank borrowings. Availability of long tenor hybrid capital would provide the necessary impetus for high quality originators to improve their creditworthiness and attract debt capital. Conventional subordinated debt assumes immediate leveraging ability, which MFIs lack at present. In the context of capped asset rates, MFIs would require time to reduce operational ratios to a more comfortable level during which it is necessary that cost of funds remain within acceptable levels. Hybrid capital is a structural solution that provides capital benefit without imposing an immediate high cost on the investee company. Further, MFIs require equity-like capital that could be leveraged for further growth, without the dilution that accompanies equity infusion. In the current context, with valuations at medium / low multiples, equity infusion would imply rapid dilution. Our estimates indicate that this dilution can be as high as 66%, given current valuations and demand for growth capital. Delaying early dilution is important to build robust organisations since it ensures that the promoters play an active role in building the organisation. Too little ‘skin in the game’ could potentially also lead to governance challenges as the promoter’s stake and hence commitment towards the organisation might be insignificant. Therefore, the need for the hour is well structured hybrid capital, possessing equity-like characteristics while at the same time permitting promoters to retain stake and providing MFIs time to adapt to the current regulatory and funding environment without diluting the strength of their origination process.